The moral of the story is this: It is not necessary that your boss is smarter than you. If the boss was smarter, he would have recognized the genius in Einstein. I have slightly different take. Even if your boss is smart, if you have a radical idea, your boss will most likely not appreciate it. That is because your boss is also a human and that is how a typical person will respond to a radical idea. So it is better to prepare yourself mentally and ideally look for other avenues where your idea might be appreciated. Max Plank, Lorentz and a few others. You need to find who your "Plank" is. Why do we see the need for extrinsic recognition where the line between motivation and manipulation will be hazy? In addition it is difficult and perhaps pointless to see the motive behind such recognition albeit some possibility of noble intent. 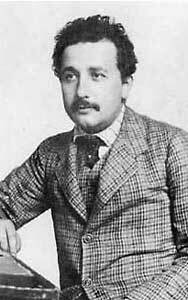 Work undertaken by the caliber of people like Einstein perhaps is worthy because it was not measured and micro managed and perhaps done with intrinsic motivation and supreme sense of self contentment. If the work is indeed worth, a million eager folks to dish out degrees from the mundane to the noble! Each of the patents Einstein worked with may have been a 'thought seed', which would lead Einstein's physics mind in a new direction. Enough thought seeds, and Einstein might start building a body of physics thoughts that would start to combine into something special.